When bad weather strikes the Tulsa area, your roof is the first line of defense against the elements. As such your roof frequently suffers the most damage after inclement weather. We provide free no obligation estimations and we specialize in recognizing weather related damages. We are committed to honesty in all of our assessments and will never lie to our customers about damages. Our talented team of roofers will carefully inspect your roof and meticulously look for the damages the untrained eye may not be able to catch. We have strong relationships with insurance companies because of our reliability and honesty. This will benefit you in your residential roofing needs because our trustworthy reports are more likely to be approved in insurance claims. We will be there to help you through the entire process and we handle the insurance claim from start to finish. We will even meet with your insurance adjuster personally to point out the damages we report. We understand how stressful your roofing repairs can be when they involve storm damage and we want you and your family to be sleeping peacefully under a solid roof as quickly as possible. When it comes to residential roofing, Combat Roofing is proud to offer the highest quality slate tile installation and repairs options for your home. Slate tile roofing is hands down one of the classiest, most beautiful residential roofing choices. Our expert roofers are prepared to help you walk through the options available in your area. This roofing type is a tile roofing system constructed from the naturally occurring material slate. Slate tile roofing is an environmentally friendly option for your home. Because it is made with a natural material and has an extremely long life expectancy it reduces roofing material waste which would normally litter our earth’s landfills. The longevity of slate tile roofing is truly incredible. It is one of the longest enduring residential roofing options available. Slate tile roofing can be expected to last for over a century’s time. A life expectancy of over 150 years is not out of the norm for a slate tile roof. One of the reasons slate tile roofing has such a long life span is because of it’s durability. Because it is made of a strong natural material it can withstand weather of all kinds. 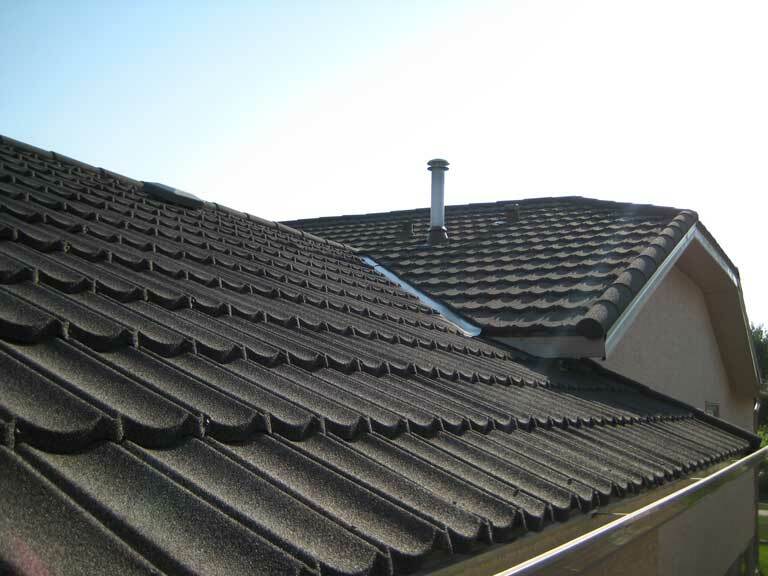 It is resistant to the damages that many other conventional residential roofing types suffer. It is also a wonderful asset in your home’s fire safety. Slate is a very fire resistant material. Our expert roofers can help you determine if it is the right weather resistant roofing choice for your residence. Slate tile roofing comes in a myriad of sizes, tile thickness and colors. It has an enduring beauty that has been coveted by proud home owners for years. If you are interested in exploring the variety of stylistic options in slate tile roofing, give us a call at Combat Roofing. We would love to help you discover the choices available in your area. As with any residential roofing project, the proper installation of a slate tile roof is critically important to the longevity of your roof. Slate tile is by nature an extremely heavy material and many contractors are not capable of handling the weight of slate tile. Combat Roofing is fully licensed and insured and we have years of experience in residential roofing in and the surrounding areas. Please allow our roofers to assist you with your slate tile installation. As with all residential roofing types, we offer expertise in the maintenance and repairs of slate tile roofing. If you need a free assessment of your existing slate tile roof, don’t hesitate to give us a call. At Combat Roofing we take great pride and joy in our 100% customer satisfaction and will be honored to help you with all your slate tile roofing installation and repair needs. Shingles are made from a variety of materials such as wood, slate, flagstone, fibre cement, metal, plastic, asphalt and more. 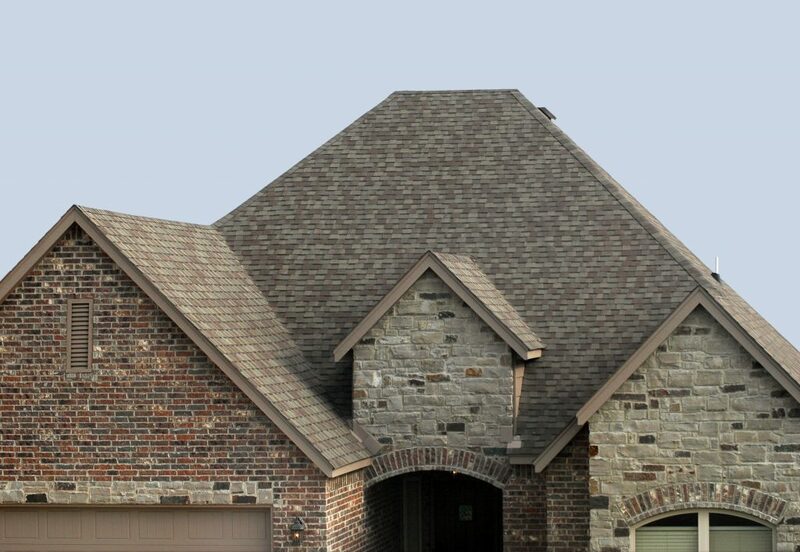 Discovering what shingle material is right for your home can seem like an overwhelming experience, but Tulsa Roofing is here to help you through the process. A shingle roof can be a long lasting roofing choice if it is properly installed, maintained and repaired as needed. Asphalt shingles made from a fiber glass base are a popular choice for residential roofing and come in a myriad of colors. Combat Roofing can help you customize your shingle roofing installation by helping you wade through the options available in your area. As with any residential roofing system, shingle roofing should always be properly maintained and repaired if any damages occur. Anytime storm damage occurs, it is important to have a professional assess your property as soon as possible so further water damages do not occur to your home. Combat Roofing has the necessary knowledge and integrity to help you determine what, if any, damages your shingle roofing has sustained after inclement weather. Our top roofers offer free assessments and are available anytime to help you. Once a proper assessment has been conducted, Combat Roofing can help aid you in roofing repairs for your home. Shingle roofing, like any roofing, will have the longest lifespan if it is properly maintained. At Combat Roofing we offer trustworthy roofing maintenance at an affordable cost. Give us a call so we can assess your shingle roofing for free. We can help you determine what roofing maintenance should be performed and our quality roofers can complete the job in a timely manner. If you are interested in exploring shingle roofing as a cost effective, beautiful roofing solution for your home, don’t hesitate to give us a call. And remember, if you need roofing repairs or roofing maintenance, we are the number one roofing service in . With an A rating by the BBB and zero complaints, we are trustworthy, professional roofing experts you can trust with any residential roofing project. Combat Roofing is proud to help receive the best shingle roofing services available. Metal roofing installation and repairs can bring your home increased value, aesthetic quality and energy efficiency. Combat Roofing is the leading expert in metal roofing for the greater Tulsa-Metro area. This roofing option is an investment that has a high rate of durability and longevity. If you would like to explore the option of metal roofing for your home, please give Combat Roofing a call. We will be happy to discuss your residential roofing needs. We are the best in the business for roofing inspections and roof installation. 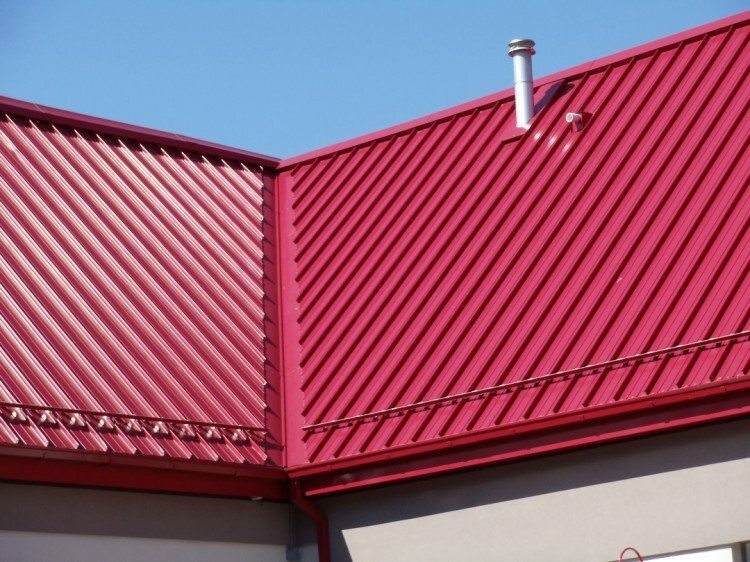 There are many benefits to employing metal roofing for your residence. One of the number one reasons it is chosen over more traditional shingled roofing is because of its extreme durability. Metal roofing is capable of withstanding all types of weather with an incredible resistance to damage. There are a myriad of metal roofing options with materials varying from steel, copper, aluminum and more. Metal roofing comes in a wide selection of styles too which is why having a professional you can trust is important for the decision making process. Metal roofing is also considered fire safe, adding to the safety of your entire home. Another reason many people have chosen metal roofing for their residential roof is because of it’s aesthetic quality. It is easy to customize and comes in a variety of design styles and colors. It can be personalized to fit your home’s desired look. At Tulsa Roofing we are passionate about helping you find the perfect fit to match your personal decorating wishes. Because of our years of experience in the metal roofing industry we can offer the best metal roofing options and the highest quality roof installation. Metal roofing is also frequently chosen for it’s environmental friendliness. Metal roofing leaves a minimal impact upon the environment as it is often made with recyclable materials. It is also frequently possible to install a metal roofing system over a preexisting roof which cuts down on the waste that would have been placed into the environment. If you are interested in this type of roof installation, we would be happy to come give your home a free roofing inspection to see if this is an option. Beyond the low impact of waste, it also is a great investment in energy efficiency for your home.Contrary to popular belief, metal roofing actually has the ability to keep your home cooler than traditional roofing. Because of it’s reflective quality it does not absorb a vast amount of UV rays and keeps your home cooler during the hot summer months. For this reason the government has recognized metal roofing as a viable energy efficiency product. At Combat Roofing we are committed to helping you find the most cost effective and beautiful roofing solution for your home. We offer free assessments and would love to help you explore the metal roofing options available in your area. For all of your metal roofing installation and repair needs please contact us at Combat Roofing to talk to one of our experts about the vision you have for your home. If you are considering stone coated steel roofing installation for your home, look no further than Combat Roofing. Combat Roofing has the expertise necessary for installation, repairs and maintenance of a stone coated steel roofing system. Stone coated steel, as its name implies, has a high level of durability. It is also a roofing system that provides a wide range of design options. Stone coated steel roofing is comprised of paneling that falls into the categories of shake, tile and shingle. Our roofers have an extensive knowledge of stone coated steel roofing and can help you with complete roof installation or with roof repairs. A stone coated steel roofing system when properly installed by our roofers provides wonderful protection from the elements. Because it is a metal based roofing system, it has the benefit of an extremely strong material base. The steel is coated with stone to give it a quality appearance. 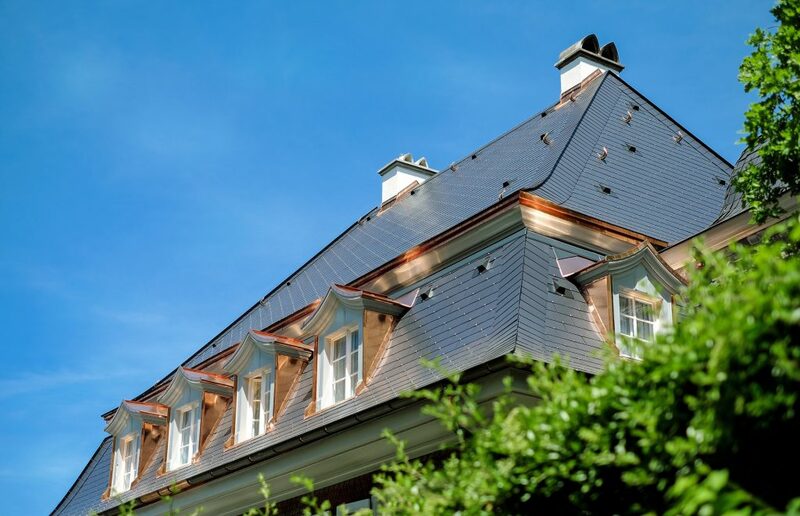 Unlike conventional shingle roofing, stone coated steel roofing is essentially water proof. It does not require the same treatments and maintenance as shingled roofing to keep mold accumulation at a minimum. It will keep the roof deck base underneath dry, even through inclement weather. The durable steel is capable of withstanding the severe weather we experience here in the greater area such as hail, high winds and heavy rain. If you are considering a new roof installation and desire a roof with attractive qualities, a stone coated steel roofing system is an option you should consider. Steel coated roofing systems come in a variety of styles. Our expert roofers can sit down with you and explore the myriad of design possibilities for your home. A stone coated steel roof is a hybrid concept of durability and design. We would be happy to assist you in discovering if it is the best roofing option for your home. At Combat Roofing we believe in helping you make your home a safe and beautiful place you can be proud of for years to come. We believe in 100% customer satisfaction and offer free assessments at no obligation. Let Combat Roofing help you with all your stone coated steel roofing installation needs. We service the greater area and beyond (including Oklahoma City and more).